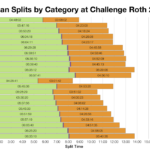 Challenge Roth: it’s one of the biggest Ironman distance races out there, but I’ve only the time to give a short review of this year’s results. The course in Roth is fast, record breaking in fact. It’s a good place to go for that sub-10 goal, or if you’re right at the sharp end sub-9 in fact. This year though, it looks to have been a little slower than usual. 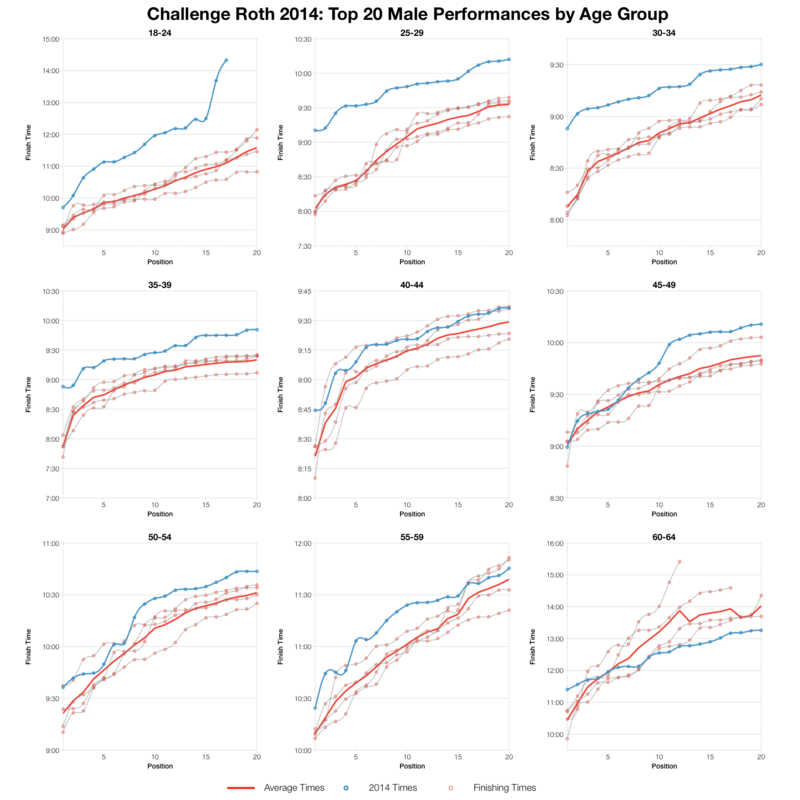 First thing to note – the pros are separately categorised form the age groupers in this year’s results. 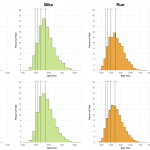 This will have some impact on some of these charts, but as medians are used it shouldn’t be too significant. 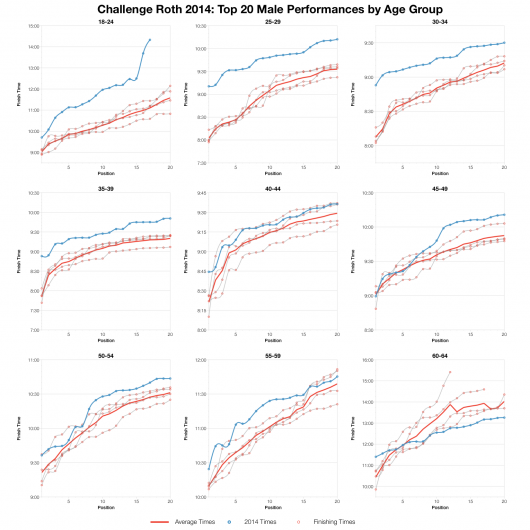 For most age groups the 2014 splits are slower across all three disciplines, although it’s not always by a large amount. Generally it’s the run that has taken the biggest relative hit. 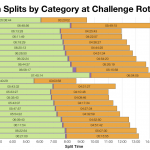 Comparing split distributions confirms this – each discipline is distributed slower than in past result with the run being the one most significantly shifted. The impact is through the field from the top 5% to the median point. 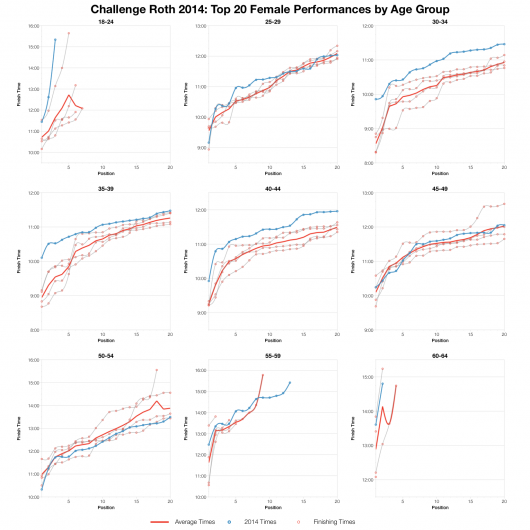 Not a fast year for Roth. To round out this quick look at the result the top twenties again confirm that times are generally slower. 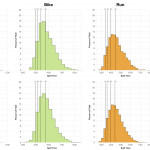 At the very front in younger age groups this is partly because of the separation of the pro athletes, but in most divisions times from first to twentieth are the slowest seen in recent years. None of my athletes raced in Roth this year and I’ve little to go on to explain the slower results. 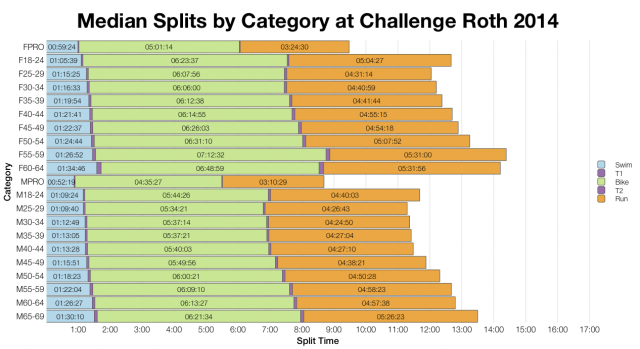 Conditions may well have played a roll and if the run was hot would help explain slower times. 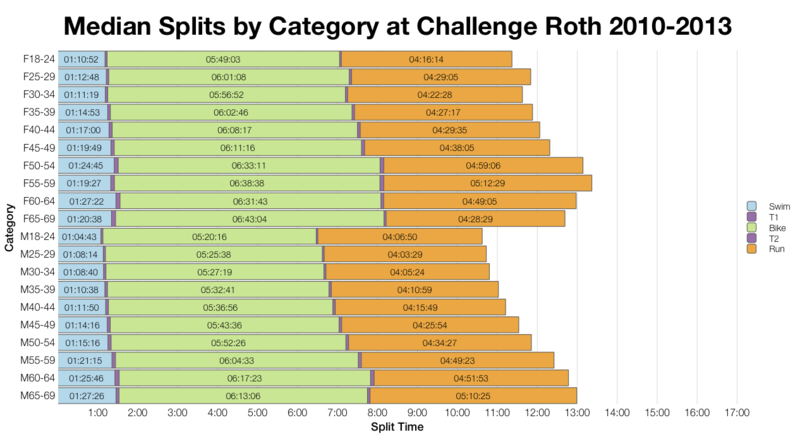 Whatever the cause Roth still remains one of the faster Ironman courses even on an off day.